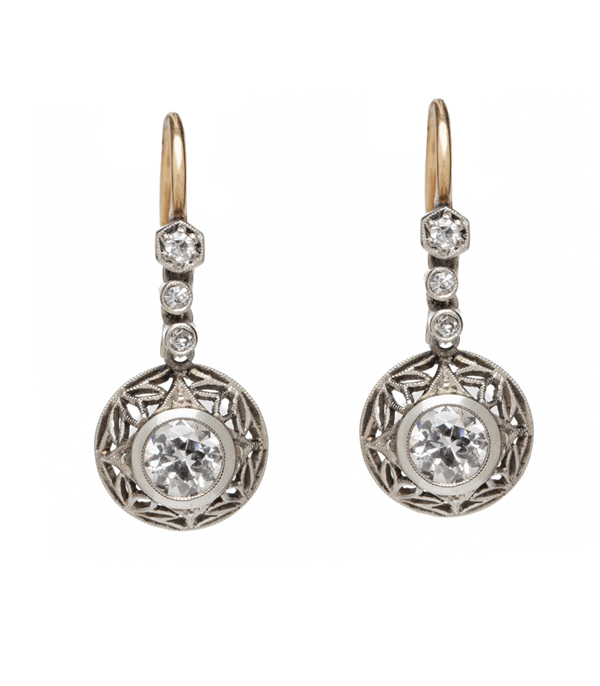 Beautifully crafted filigree openwork in 14K white gold with yellow gold earwires, these dangling earrings feature European cut diamond centers and single cut diamond accents (approx. 0.70 ctw) and add a perfect amount of movement and sparkle to any jewelry wardrobe. Classic and elegant, what’s not to love? Categories: Edwardian Jewelry, Vintage Earrings.